A tandem skydive is the ultimate adrenaline rush. When you jump out of a plane at 10-15,000 feet and freefall at 125mph it is an experience like nothing else on earth. Beyond exhilarating, it defies description - the only way to understand it- is to do it! 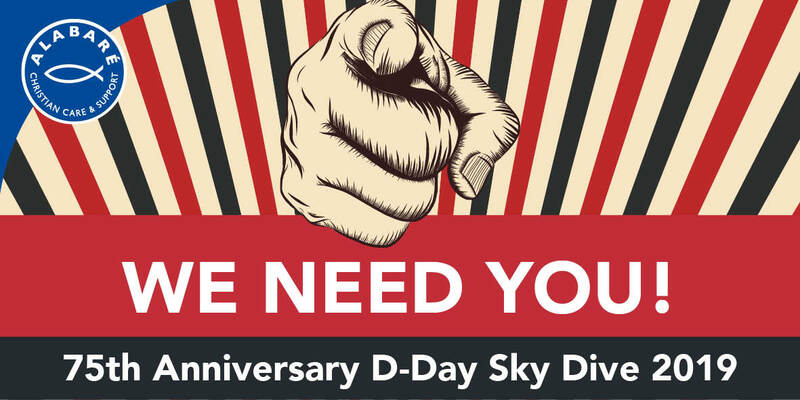 Join our D-Day Commemorative Skydive on either the 6th or the 16th June 2019 to mark 75 years since the D-Day landings and raise vital funds for Alabaré Home For Veterans. Paratroopers were the first soldiers to land on French soil during D-Day - giving this Commemorative event an extra significance. All Participants will need to self certify medical form 115A, if you have any of the conditions listed you MUST get a doctors certificate on form 115B. Please review this before signing up. All participants must raise a minimum of £395 in sponsorship for Alabaré's Homes for Veterans.